The 2005 Socialgaine was held at Wollongong NSW on Sunday 20th November. This information was last updated on 10/12/2005. These include some minor adjustments to scores and places for the 'Themes' that entrants had to select to gain extra points. 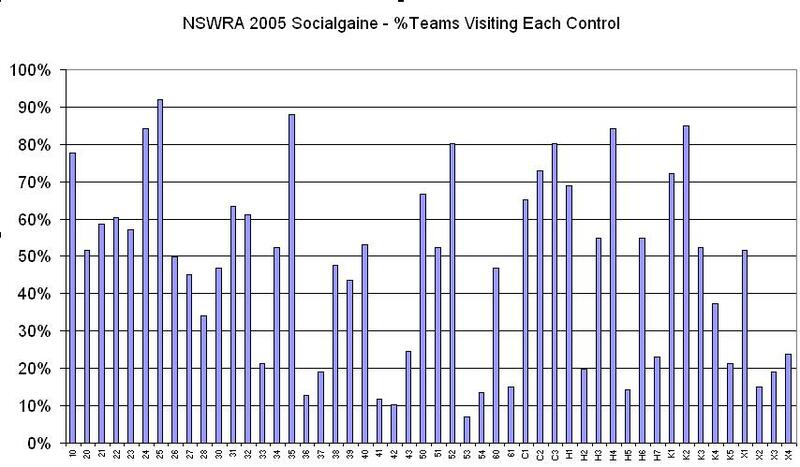 A chart showing how many teams visited each control. Peter & Julie Gray. Jeff Horton, Ian Crakanthorpe at X3 - Brokers Nose. A view over the southern part of the course.